I had the pleasure of traveling to Athens, GA last month. It’s a city with super strong DIY community and lots of artful and handmade places around town. 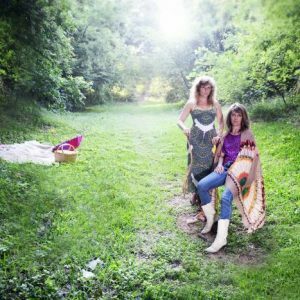 It’s a small college town about an hour and a half outside of Atlanta with rolling hills, a warm climate, and a history of thoughtfully created culture. It’s home to the B-52s and REM, for goodness sake! If Atlanta is like Houston (and trust me they have a lot in common) then Athens would be like Austin. It’s cool, it’s progressive. You get the idea! I got to browse around downtown one of the days that I was there. It’s right next to campus and is full of 2 and 3 story brick buildings and full of shops. 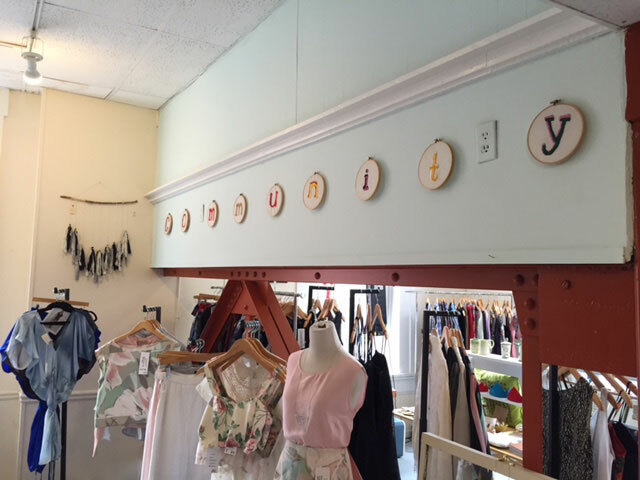 There were 3 handmade spaces all right next to each other that really made my heart skip a beat – Community, Kristen Ashley Artist Shop, and Dynamite Clothing. Community is in an upstairs brick building with windows around two sides that let in so much natural light. It’s bright and super pretty. Community is a shop of sustainable clothing – that they boast never sacrifices style. It’s really cool – they have some vintage and some vintage that’s been updated and repurposed into more modern clothing. They also have lots of new pieces of clothing -skirts, dresses, tops. 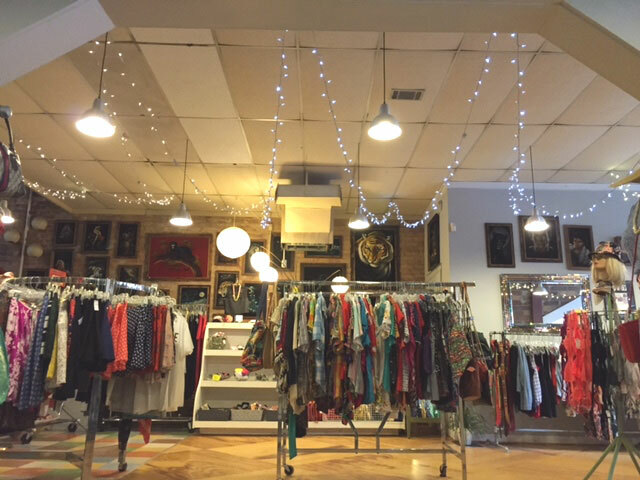 It’s mostly women’s clothing, but they carry and create some really cool menswear, as well as jewelry and handmade collectables like prints, cards, and candles. A part of the boutique is sectioned off for Community “members” to be able to come in and work. There are sewing machines and sergers so that designers can come in to create their own fashion. The shop offers classes too. They teach basic to advanced sewing and pattern making and offer alterations during store hours. They host local sewing meet ups too. They just celebrated their 5th anniversary! Woo hoo! Here are photos of their anniversary party. 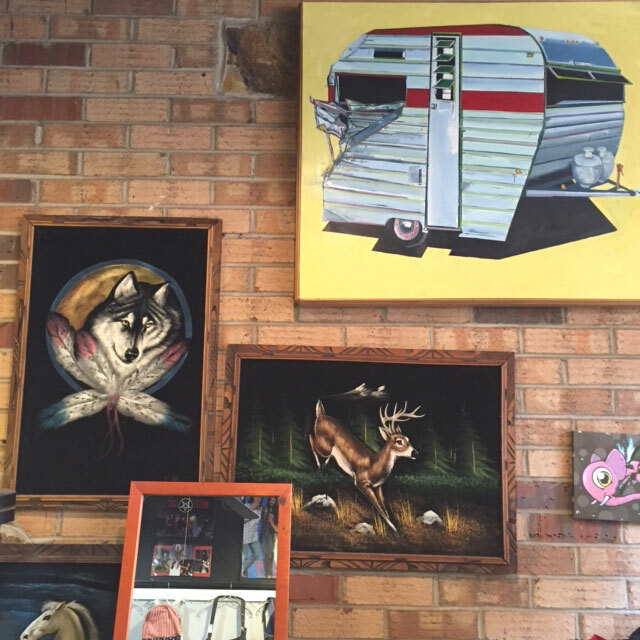 Next door is a gallery style shop called Kristen Ashley Artist Shop. Geez even their website is cute! Seriously, check it out. 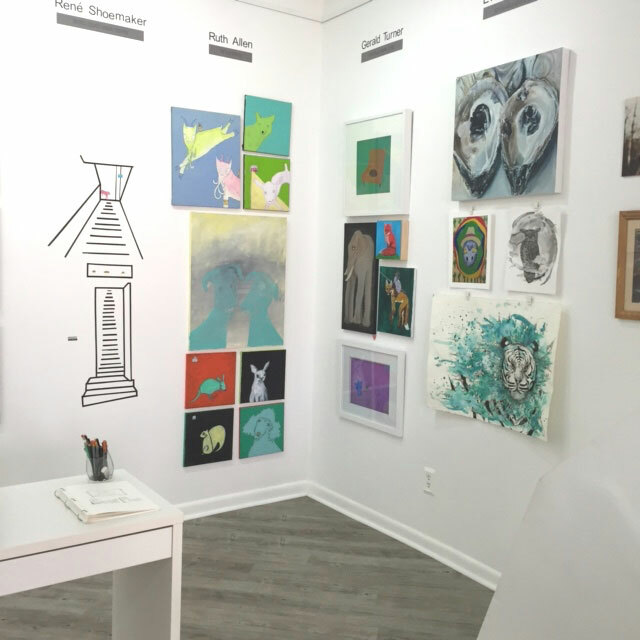 The space opens up into a gallery which is small but has tons of cool art packed in kind of salon style. There are handmade goods and artist style collectables like Pantone hangers and mugs. There are lots of handmade calligraphy cards. Everything has a well designed graphic quality to it. There are several additional rooms which makes it the kind of shop that’s fun to explore. The first is a room full of art supplies. They have all the good stuff – sketch pads, microns, good quality scissors, etc. It’s really well organized and small enough to be well curated but big enough to have just about everything you could need. The middle room is a photo studio! They had small light tents and a white screen to take images of larger objects like furniture or clothing. 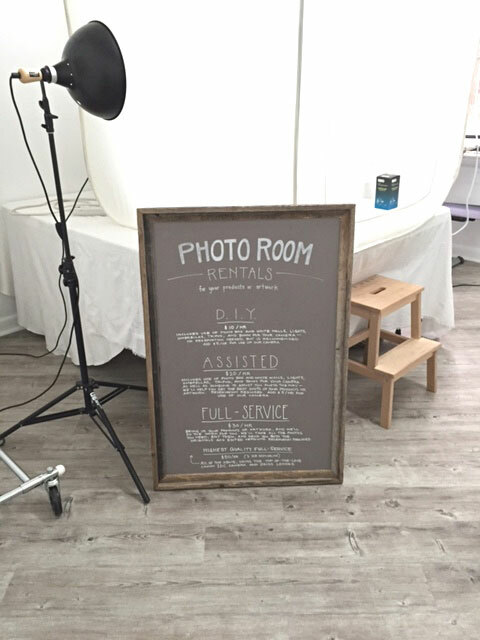 You can rent the space to take product shots, but they also have a way to reserve the space with assistance from the shop team. This would be perfect for someone new to product shots or someone that does not have experience with the lighting or photo equipment used for great product shots. So smart! The third room is full of tables and chairs and is where their craft and art workshops take place. They offer lots of interesting classes like Calligraphy, Watercolor, and Art Club for Teens (which I think is super neat and interesting *wink*). It’s a really stylish space that is sure to spark creativity. And literally right next door to Kristen Ashley Artist Shop is Dynamite Clothing a super cool vintage clothing shop. I loved the way it was decorated. There were walls of black velvet paintings hung to fit as many velvet paintings as possible! There were lots of ladies as well as wolves and some Southwestern style velvets as well. These people definitely have a sense of humor. There were lots of gilligan style french fry hats, kitten dresses, and flamingo shoes and t shirts. There were lots of silly fun items as well as vintage with good prices and sale racks, too. Right at the entrance they had walls of adorable earrings for less than 10 bucks. Some of the earrings were only a dollar. There were tons to choose from like dinosaurs, foxes and kissy lips. There were 4 places in Athens that I was dying to check out but didn’t get a chance to. 1. 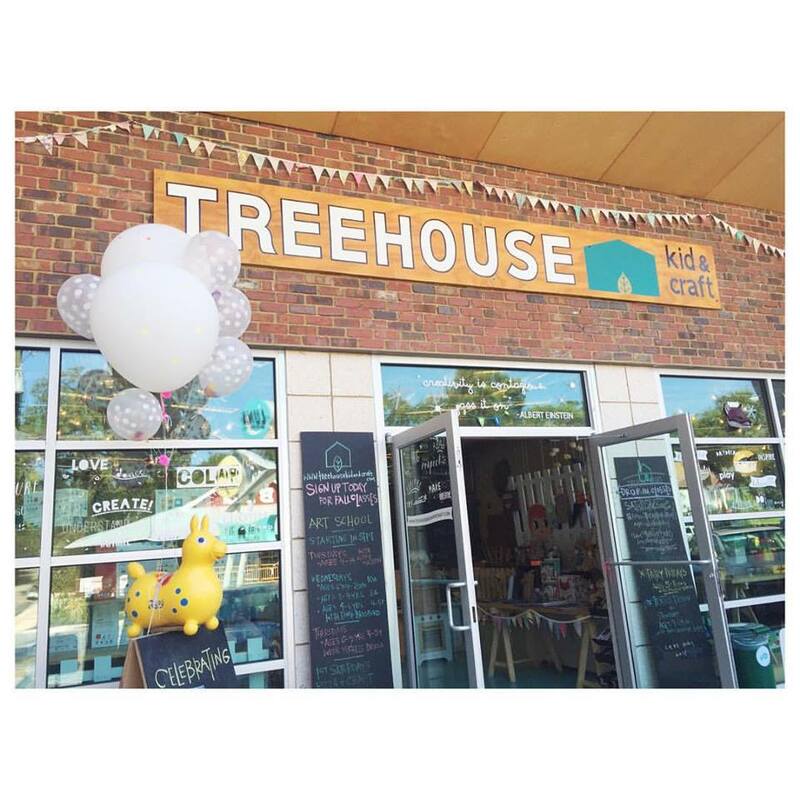 Treehouse Kids & Craft which I’m absolutely swooning over! 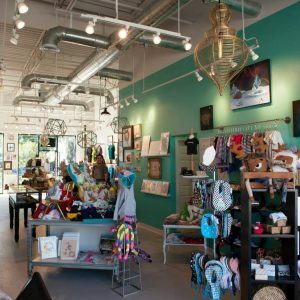 It’s a kid friendly boutique with kids clothes and toys. But the coolest thing is that they offer DIY Kits and DIY Classes that are interesting and well curated. Check out this DIY Fox Purse or the DIY Frida Kahlo Doll. 2. Revival Yarns Athens – Wow! What a cute Yarn Shop. Revival Yarns has a knitting night every Friday which looks lovely and they tons of tons of classes. They have classes on socks, crochet, knitting, and more. These people know their stuff! 3. 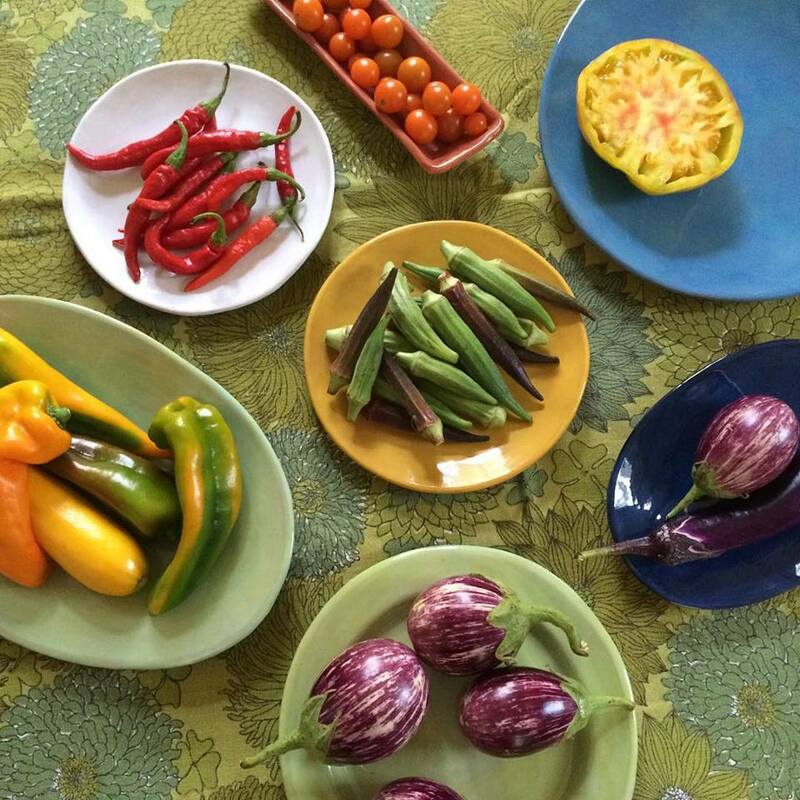 R Wood Studio Ceramics – These beautiful handmade ceramics are all about color and shape. Some of them are so simple – minimal and yet absolutely stunning. Rebecca Wood has created one of the largest pottery studios in the USA with each piece still remaining handmade. 4. Agora Vintage – Last but not least – certainly not least because at Agora Vintage you can find all of the vintage Cartier, Coco Chanel, Dior and other fashion house finds that your heart desires. Just looking at the website is jaw dropping. I can’t image being there in person! I only found out about the 4 places I didn’t get to visit through luck! All around Athens there were adorably illustrated maps by Sweet Peach Blog featuring the best places in Athens, GA. They have created maps of other cities too and feature interesting designers through the South in their blog. If you are thinking about traveling to Atlanta, Charleston or other Southern cities, check out their blog. or Interview From Art Star to Hunter Gatherer: How Teresa O’Conor has Helped Shape Houston Craft. Love this post!! Such a beautiful blog and website!